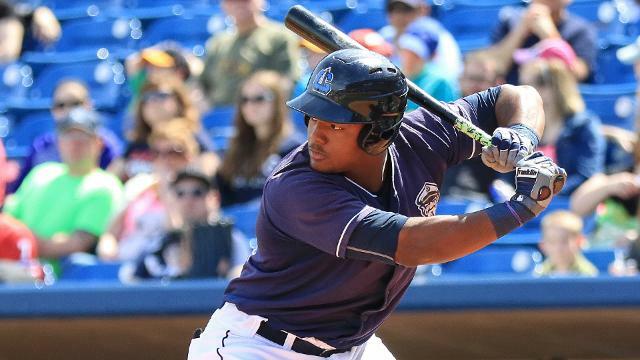 Lake County Captains first baseman Emmanuel Tapia homered in his last at-bat of the 2017 season, setting a new club record for most round-trippers in a single season. The Cleveland Indians prospect’s 29 homers were the most in the Midwest League this year. Collectively the Captains hit 153 home runs, two shy of the MWL team record set by the 1961 Waterloo Hawks. Dayton Dragons outfielder Jose Siri finished second in home runs with 24, and led the league with 92 runs scored and 46 stolen bases. The Cincinnati Reds prospect is only the third MWL player ever to have a season of at least 20 home runs and 40 stolen bases. He set a new MWL record by hitting safely in 39 consecutive games, and finished with a league-high 146 hits. 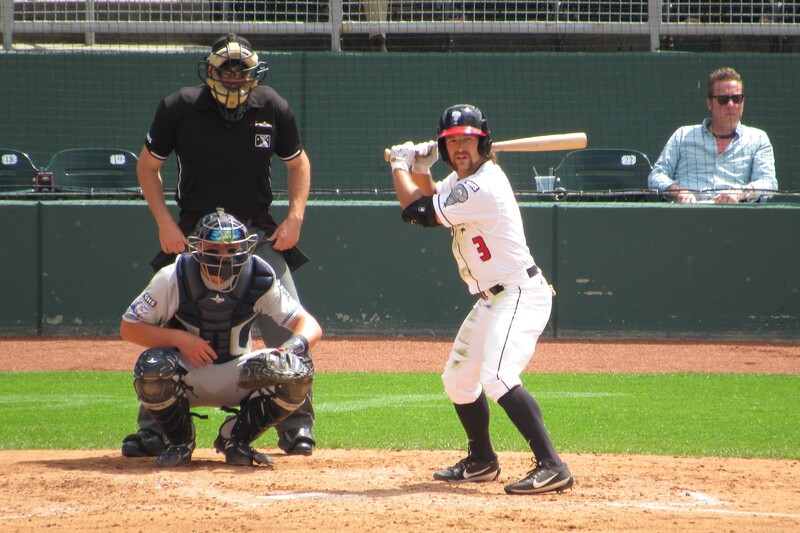 Bowling Green Hot Rods outfielder Jesus Sanchez posted a .305 batting average, the highest among Midwest Leaguers qualified by number of plate appearances. However, the batting title goes to former Lansing Lugnuts shortstop Bo Bichette, the Midwest League MVP and Prospect of the Year who batted .384 before being promoted to High-A in early July. Bichette was 61 plate appearances shy of qualifying for the title, but still wins anyway because his batting average would have been the highest in the league even if an additional 0-for-61 was added to it, as outlined in the Minor League Baseball rulebook. Hot Rods infielder Robbie Tenerowicz and Kane County Cougars outfielder Marcus Wilson finished next behind Sanchez, with a .295 batting average each. Sanchez led the league with 82 runs batted in, and finished second in hits with 145. Quad Cities River Bandits catcher Chuckie Robinson and Dragons outfielder Taylor Trammell finished second in the RBI standings with 77 each. Siri finished fourth with 76. Cedar Rapids Kernels first baseman Lewin Diaz led the league with 33 doubles, one more than Robinson and Bichette. Both Siri and Kernels infielder Travis Blankenhorn hit 11 triples, the most in the league this season. Trammell finished third with 10 three-baggers. Former Fort Wayne TinCaps shortstop Fernando Tatis Jr. led the league with 75 walks, four more than Trammell and six more than Beloit Snappers designated hitter/first baseman Kyle Nowlin. Lugnuts outfielder Nick Sinay was hit by a pitch 38 times (in 78 games), which set a new Midwest League record. As a team, the Lugnuts were hit by 111 pitches, two shy of the MWL record of 113 HBP set by the 2001 River Bandits. In case you’re wondering, Sinay was hit by 25 pitches in 59 games last season, and in 2015 — the year he was drafted by the Toronto Blue Jays — he was the third-most plunked player in Division I college baseball (on a per-game basis, per D1Baseball.com). Also, Sinay took the mound for the Lugnuts once this year; he gave up one run on two hits in one-third of an inning — but didn’t hit any of the three batters he faced. This entry was posted in Beloit Snappers, Bowling Green Hot Rods, Cedar Rapids Kernels, Dayton Dragons, Fort Wayne TinCaps, Kane County Cougars, Lake County Captains, Lansing Lugnuts, Midwest League, Quad Cities River Bandits. Bookmark the permalink.